European bison grazing in the Țarcu Mountains, Southern Carpathians rewilding area, Romania. Instrumental in this hard-won success have been Rewilding Europe’s highly valued Romanian bison rangers – Matei Miculescu and Daniel (Danu) Hurduzeu. Each day they patrol the Southern Carpathians rewilding area in the Tarcu Mountains of southwestern Romania, performing vital tasks such as monitoring the bison, their local habitat and temporary enclosures, and helping to develop tourist infrastructure and services related to bison watching. Since 2014, the young rangers have also played an active role in the regular transport and release of bison into the Tarcu Mountains, ensuring conditions at the release site are favourable and assisting with unloading. After each herd of newly translocated bison has undergone a two-month acclimatisation period, the animals are released into the wild from their enclosure. From that point onwards, they are monitored by the ranger team together with the previously released herds. Matei and Danu also work in the visitor centre in Armenis (the nearest town to the bison release site), greeting visitors when they arrive for a bison tracking tour, and are members of AMZA (the Bison Hillock Association of Armenis). 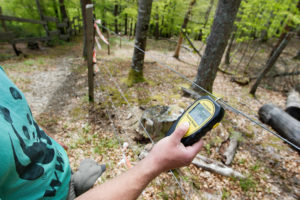 They have taken various ranger courses, and have also taken part in an exchange programme with other European nature and national parks, facilitated by ProPark (the Romanian Foundation for Protected Areas). Hardworking, conscientious and ambitious, Matei and Danu are now benefiting from the economic opportunities generated by the bison reintroduction project. This is the perfect example of how rewilding can help people earn a fair living from wild nature. We caught up with them to learn a little more about what life is like as a Romanian bison ranger. Bison rangers in the Southern Carpathians check the electric fences of the bison acclimatisation enclosure. When did you join the bison rewilding initiative? Matei: I have been involved in this rewilding project since 2014, the year of the first bison transport to the area. The WWF team was looking for somebody who loved nature, knew the area and spoke English. I had just finished my undergraduate degree in economic studies and was at home searching for a job. Danu: I have also been working in this project since 2014. When the WWF came here and offered us the opportunity to become bison rangers I accepted the job on the spot. What does a typical day in the life of a ranger look like? Matei: In the field no two days are the same. But all days start at the visitor centre in Armenis, where we spend a few hours getting ready for our patrol and running office errands. Then a 16 kilometre journey awaits us, on a forestry road up to the rewilding area. As a ranger you need to learn and know about everything. There’s always something to be done, but I think the most important thing is to stay abreast with all that’s happening in the field. This means covering a lot of the rewilding area, and that can be very physically demanding. 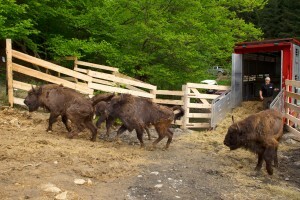 Bison rangers in the Southern Carpathians bring supplementary food for newly transported bison in their acclimatisation enclosure. Danu: Every day starts with a coffee together at dawn. Then we head to the visitor centre, followed by our daily field trip. When we reach the Bison Hillock we usually check the electric fences surrounding the acclimatisation and rewilding enclosures (to make sure they’re not broken or covered in vegetation). Then we check up on the bison that are temporarily living there, to see if they’re weak or showing signs of disease, or need extra food. After that we go on our patrol to find the wild bison and see how things are with them. If we observe anything out of the ordinary we report it back to the main project team. And if we have tourists visiting the area and the bison, we sometimes guide them and organise a get together with the children of Armenis. What’s the most important thing you’ve learned since becoming a ranger? Matei: I’ve learned how important sound planning is, and also the value of teamwork in this kind of project. Danu: The most important thing that I’ve learned as a ranger is to follow through with the tasks that you’re responsible for. Please tell us about a high and low point that you’ve experienced since this project began. Matei: I experience real happiness every time people appreciate and support our initiative. In terms of hardship, there have been many challenging moments. Any of these could have become crises – the most important thing is to know how to manage these situations. 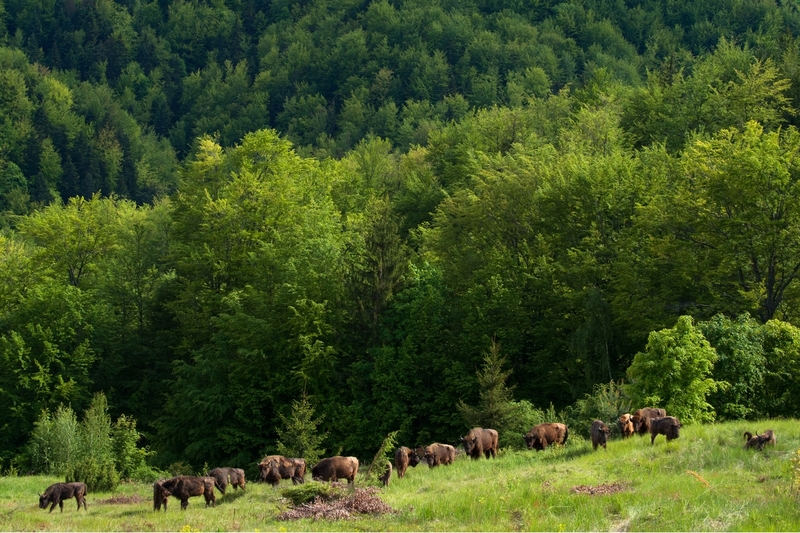 The first release of European bison in the Southern Carpathians, carried out by Rewilding Europe and WWF Romania, took place in May 2014. Danu: True joy for me was when the first bison arrived here in 2014. I was so emotional! And a moment of hardship was when the first baby bison was born in the enclosure and after five weeks we found it dead. It was the calf of Romanita, the alpha female of the herd which we brought from the Hateg Bison Reserve. We called it Praslea, a lovely Romanian name that comes from a popular children’s fairytale. The autopsy showed that Praslea was caught in a fight between some adult bison in the herd and suffered a fatal injury. Has your relation with or perception of nature changed as a result of this project? Matei: My view of nature hasn’t changed that much because I’ve always loved it, but I can say that now I know and I pay more attention to details. 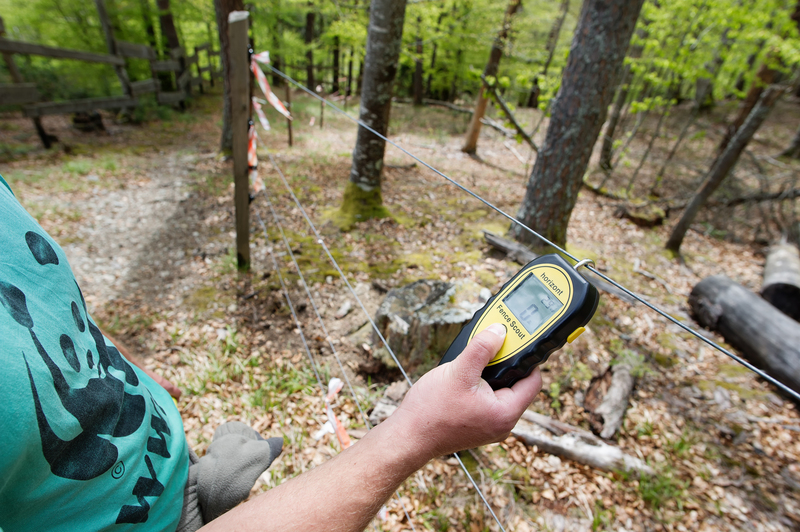 I’ve learned many scientific details about the tracks of wildlife, for instance, and about trees and other vegetation. This means that I see these things differently and can attach certain meanings to them. They are not just trees or hay anymore. Danu: Things haven’t changed dramatically for me either, in terms of my views about nature. I have been fond of nature since I was little and I used to help my father in the woods – he was a forest worker and let me identify all trees and plants and do the markings. Since becoming a ranger, this early experience has really helped me. What do you like most about bison? What fascinates you about this species? Matei: I like that they retain their instincts as wild animals, even after spending a lot of time in captivity. Danu: What fascinates me the most is the valuable role that bison play in the ecosystem. These are not only majestic animals, but biologically important too. Those interested in seeing the reintroduced bison in the Southern Carpathians up close – possibly in the company of Matei and Danu – should visit the European Safari Company website here.